Hey there and Happy Friday!!! 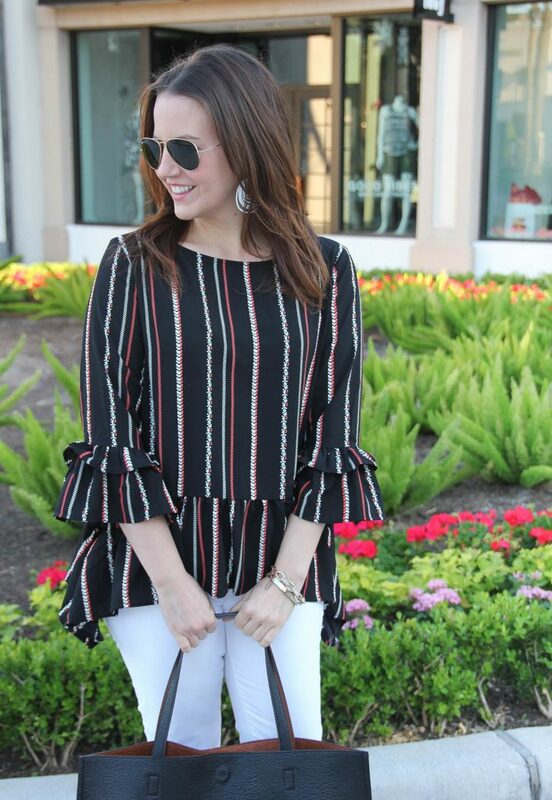 This stripe print and color scheme on this top is what first attracted me to it in the store, but I was a little unsure of the peplum/bell sleeve combo while on the hanger. Definitely one of those tops that looks way cuter on than hanging in my opinion. The peplum portion is such a fun detail and one that keeps growing on me. 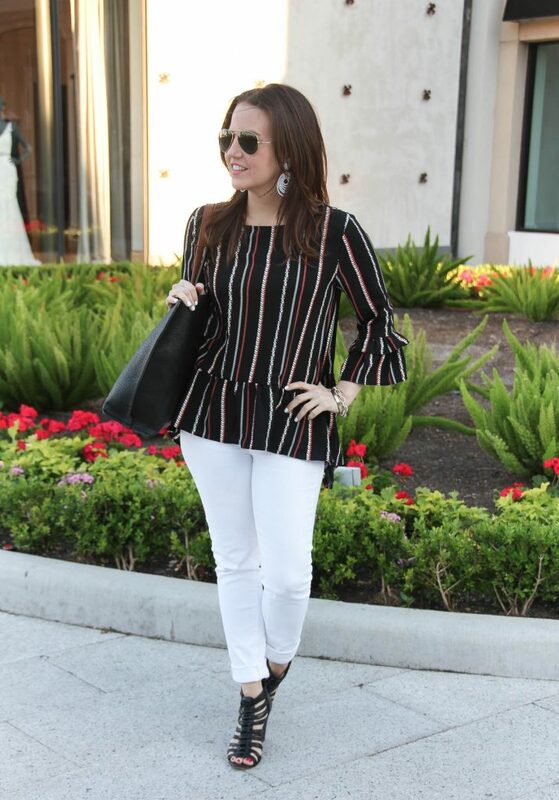 The peplum is perfect for pairing with skinny jeans or my skinny work pants and of course a cute pencil skirt. Heads up to all my Nordstrom cardholders, we are currently in the middle of a triple points period on card purchases!! It’s one of my favorite times to purchase those items that rarely go on sale, because it’s like getting a discount. I feel like 70% of the people I know have a birthday in May. This past week we celebrated my father and father in law, and this weekend we celebrate one of my girlfriend’s with spin class and brunch. They are only the beginning too. It’s going to be a busy month ahead! I hope ya’ll have a great weekend. Great outfit! 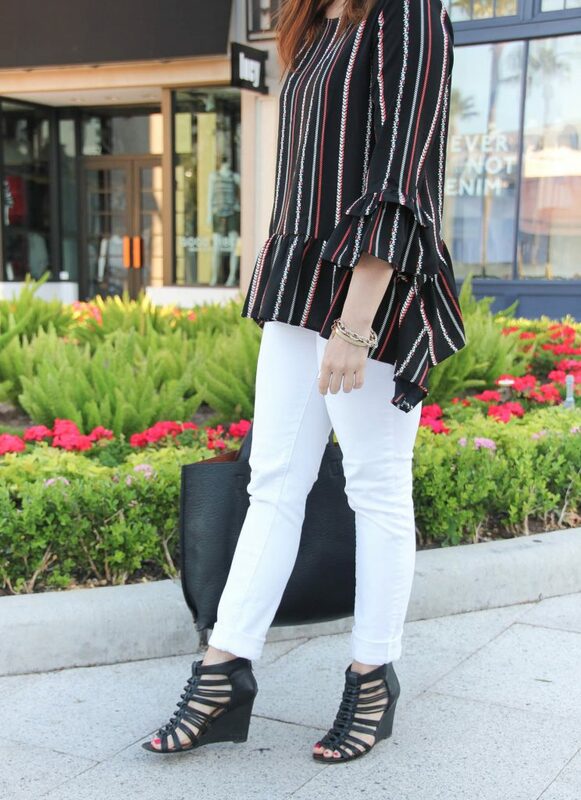 the white jeans make it perfect for spring transitioning! Your top is beautiful as are the earrings. So chic in black and white! Such a pretty top. 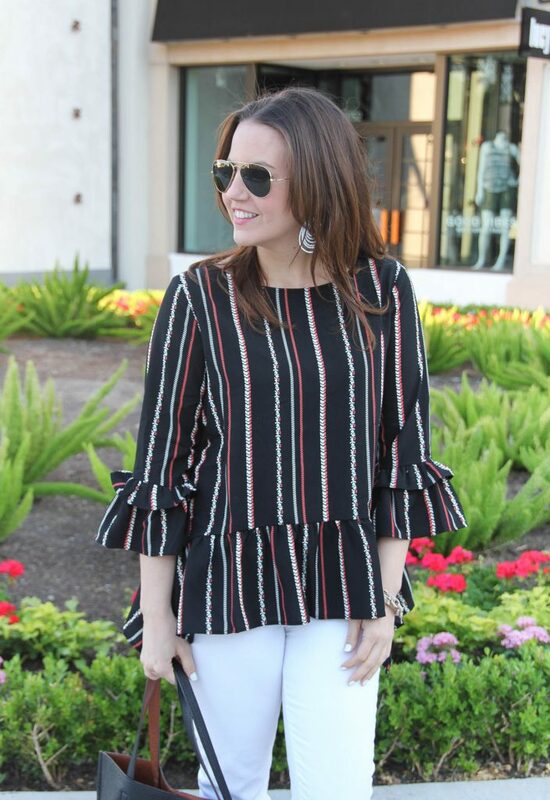 Love the peplum and sleeve detail. 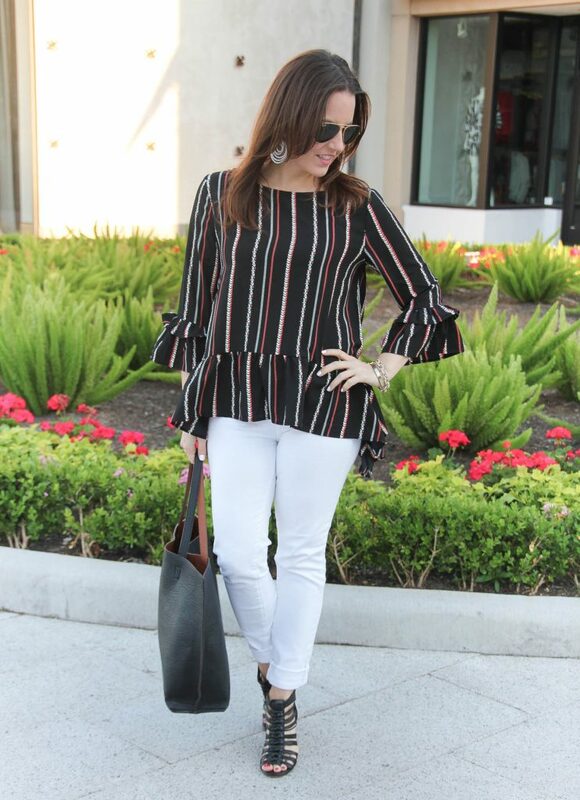 Bell sleeve, peplum, and stripes…what could be better!? Beautiful and chic outfit! Love that purse…I have it in the brown color! 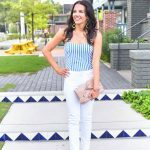 Thanks for sharing at the linkup! 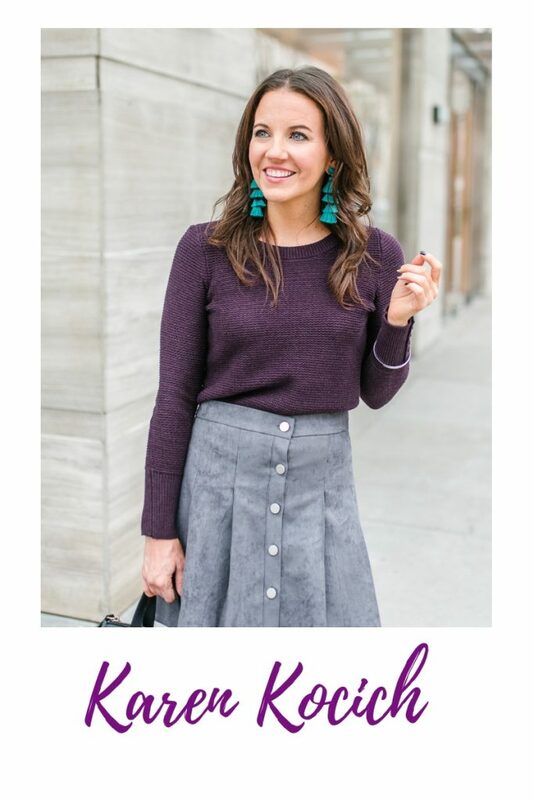 Yes triple points is one of my favorite times to shop at Nordstrom too!! Happy Sunday! I’ve had my eye on this exact top for quite some time. It’s so cute. 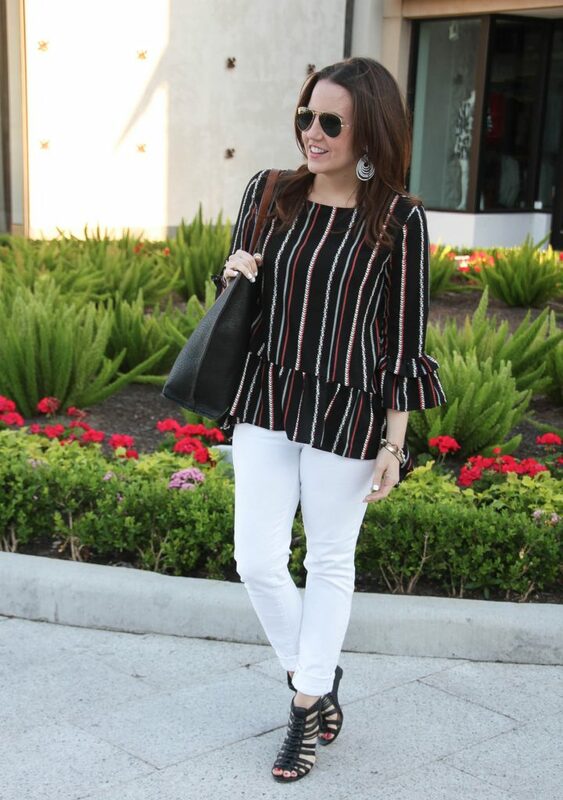 I love the ruffled peplum style to it, and wearing it with white pants was a great idea! the bell sleeve is so pretty! 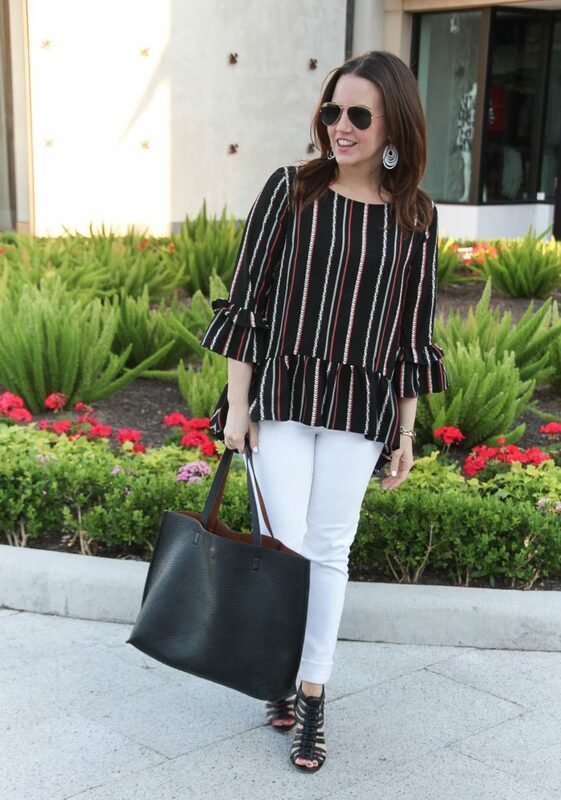 loving the stripes! 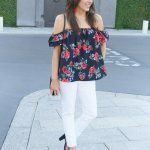 I adore peplum tops! I find them just so flattering. 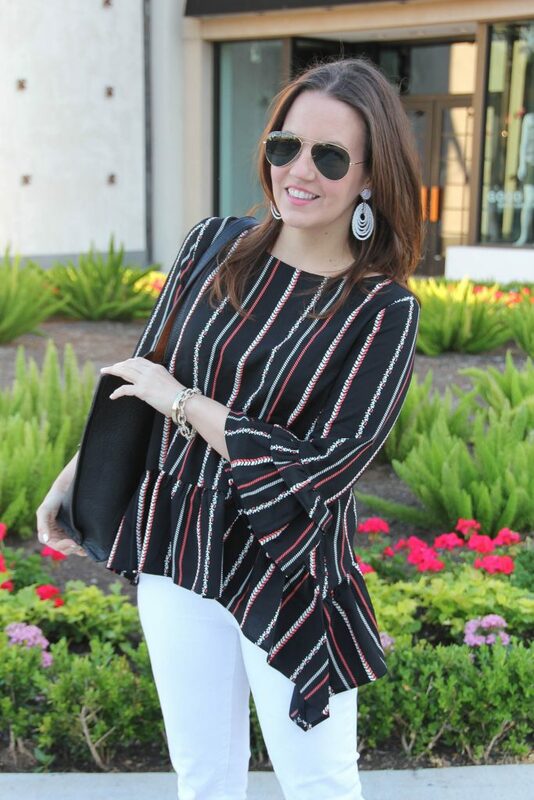 Paired with a bell sleeve is even better! Adorable top! I love the colors. Kind of different!! Love the sleeves so much! This top is so cute ! The sleeves of your blouse are to die for! Beautiful top! Those shoes are the perfect compliment to it!